The takedown update for the event has been released as a store update, removing the event. A second update, server side, removed the bugged Tourists Bundle for the moment. As most of you know by now, every update not only brings new content but also changes to many other aspects of the game. From prices to appearance, task lengths to requirements, any part of the game is subject to change and many changes affect every player. Follow us right after the jump for the list of all of the changes. 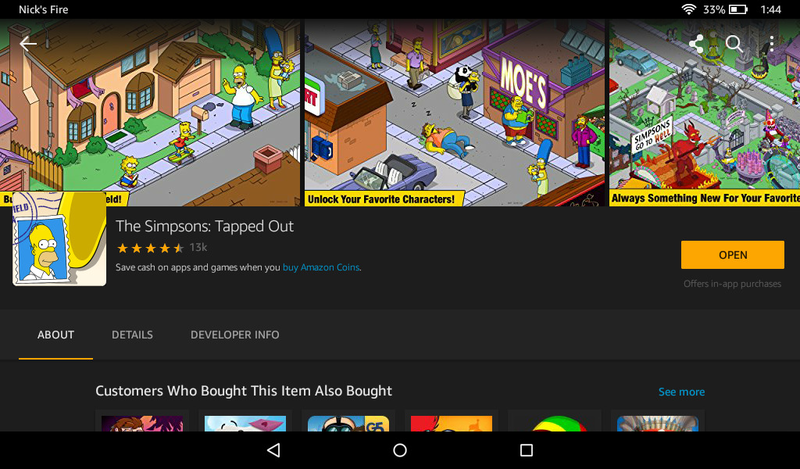 The splash screen and the app icon were changed back to normal. The land zone was moved back to normal. The Tourists Bundle was added to the store, however it’s text is missing. 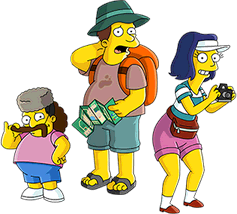 The tourists now have 5 new jobs: Shop at Kwik-E-Mart, Prepare for France, Prepare for Japan, Prepare for Brazil and Stay in Budget Accomodations. Once sent to their animated jobs they dress as the tourists in the 3 acts. Two new quests were added “Tourists Upsell” and “Permanent Vacation” for the Tourists Bundle, however the text is missing. Apu’s unlock message was changed from ““Thank you, come again!”” to “Thank you, come again!”. 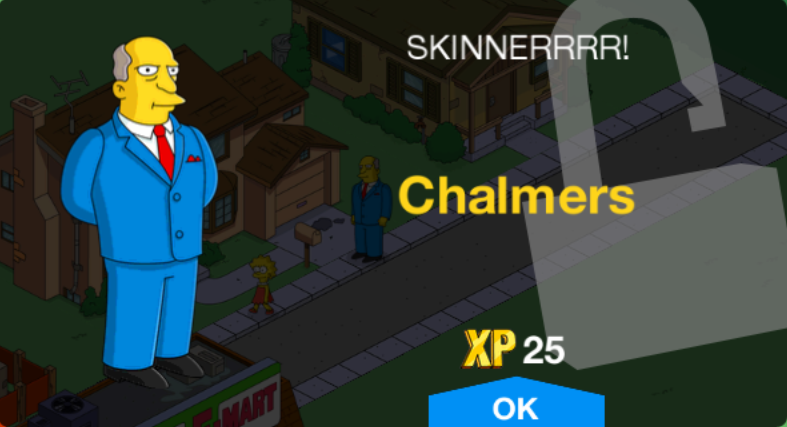 Chalmers’ unlock message was changed from ““SKINNERRRR!”” to “SKINNERRRR!”. 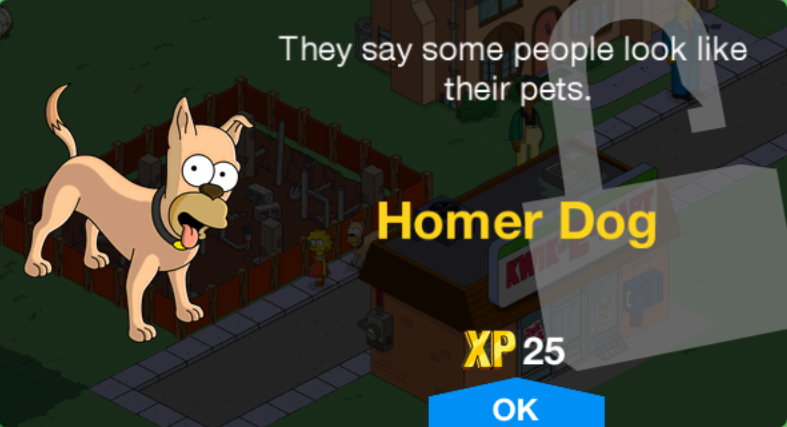 Homer Dog’s unlock message was changed from ““They say some people look like their pets.”” to ““They say some people look like their pets.”. 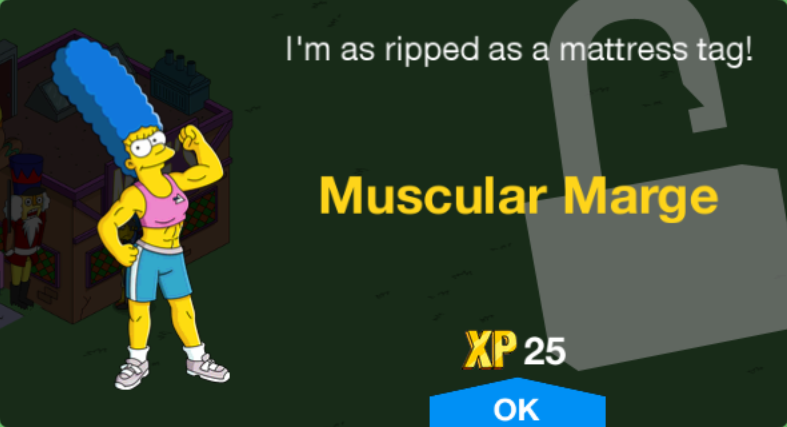 Muscular Marge’s unlock message was changed from “”I’m as ripped as a mattress tag!”” to “I’m as ripped as a mattress tag!”. 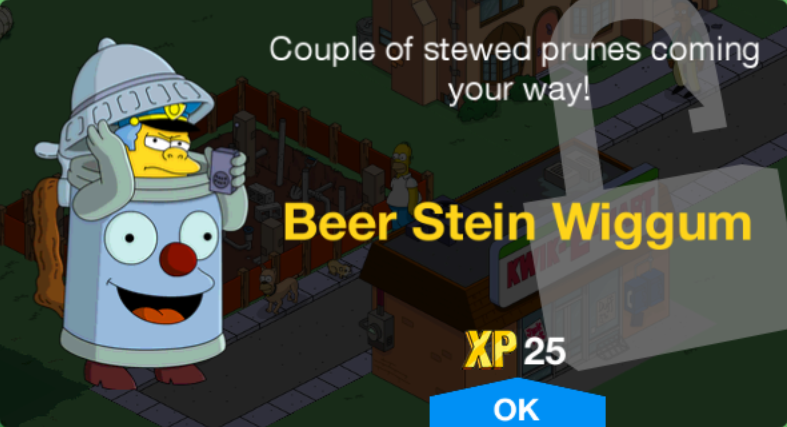 Beer Stein Wiggum’s unlock message was changed from “”Couple of stewed prunes coming your way!”” to “Couple of stewed prunes coming your way!”. 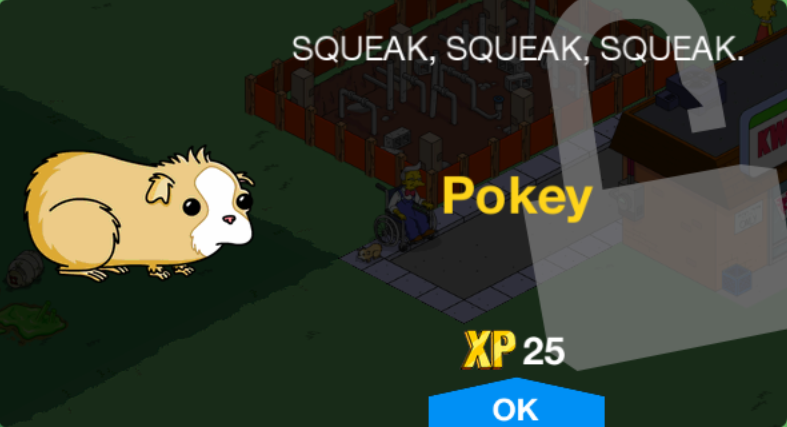 Pokey’s unlock message was changed from ““SQUEAK, SQUEAK, SQUEAK.”” to “SQUEAK, SQUEAK, SQUEAK.”. Laird Ladd’s unlock message was changed from “”Why did you bring me here if you’re going to replace my statue?”” to “Why did you bring me here if you’re going to replace my statue?”. All characters except Kumiko, Mr. Sparkle and normal Kumiko can now go to flights at Springfield Airport. 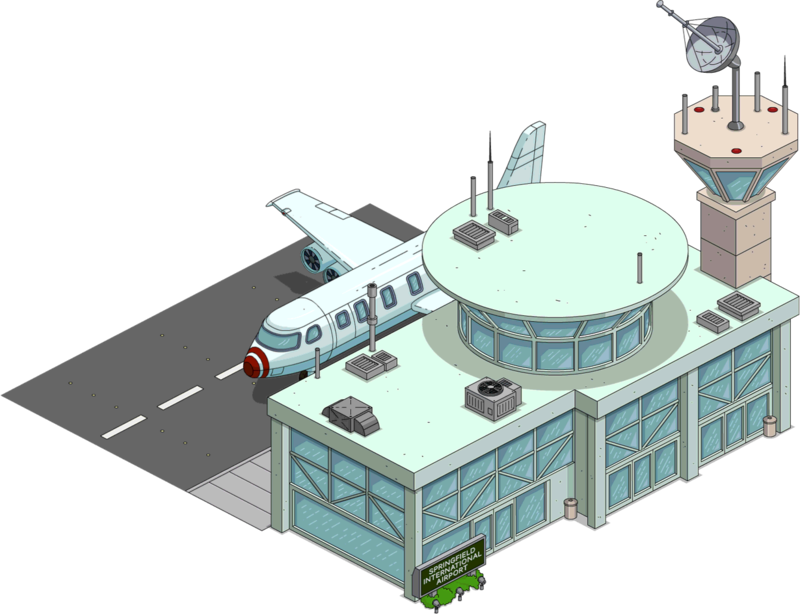 A job was added for Springfield Airport: Scanning Baggage for Embarrassing Items. If Norbert Van Wowton Pt. 2 was started, Norbert’s Plane w/Norbert is given for free. Completing The Prodigal Skinner Pt. 2, Dark Humor, The Olive Branch Pt. 4, Kentnichal Difficulties, Such a Beautiful Day, Executive Lackey Pt. 8, This Little Wiggy Pt. 8, True Bromance Pt. 2, The Cleaner Pt. 4, Business as Usual Pt. 2, A Rail of One City Pt. 9 and Loads of Codes now yields $750 and 75 XP. Completing The Noise from Brazil Pt. 8, The Iron Alloy Giant Pt. 3, Bastille This Movie Pt. 2, The French Love Connection Pt. 6, Fuji’s Peak Pt. 4, Springfield’s Seafood Concern Pt. 3, Flabtastic Creatures Pt. 4, Favela Fever Pt. 2, Thirteen Monkeys Pt. 2, Flirty Dancing Pt. 7, Dispirited Away Pt. 3, Big Trouble in Little America Pt. 5, Low Expectations Pt. 5, Sparkled Away Pt. 5, XOXO Pt. 6, Large and In Charge Pt. 8, Man in the Grid Iron Mask Pt. 4, La Vigne De La Sang Pt. 2, Robots in the Skies Pt. 2, Strangers on a Golden Trian Pt. 3, You Say Rabbi I Say Hello Pt. 5, Ruthless Rungs Pt. 4, Man VS Wilderness Pt. 3, Robot Rescue Pt. 3, Burns Allmighty Pt. 6, The Bad Shepherd Pt. 5, The Ravencrow Pt. 5, Maggie’s Day Out Pt. 5, Out of the Broom Closet Pt. 5 and Baal of Confusion Pt. 2 now yields $200 and 20 XP. Completing The Way I Wish We Was Pt. 9, Baking Bread Pt. 10, Stunt Force Trauma Pt. 5, The Price of Donuts Pt. 13, Frankie the Politician Pt. 10, The Cost of Living Pt. 7, Girl Next Cell Over Pt. 10, The Real Investorettes Pt. 4, Smells Like Mean Spirit Pt. 9, Dora the Endorser Pt. 7, Higher Class of Politics Pt. 7, The Ungrateful Dead Pt. 7, Chocolate Pain Pt. 16, Vulgari Aspirations Pt. 9, Easy a Pooniversity Pt. 7, Old Gray Marriage Pt. 7, Up in Smoke Pt. 11, Googolplex Grand Opening, Maximum Itchyload and A Woman’s Work Pt. 7 now yields $5000 and 500 XP. Completing High School Low Pt. 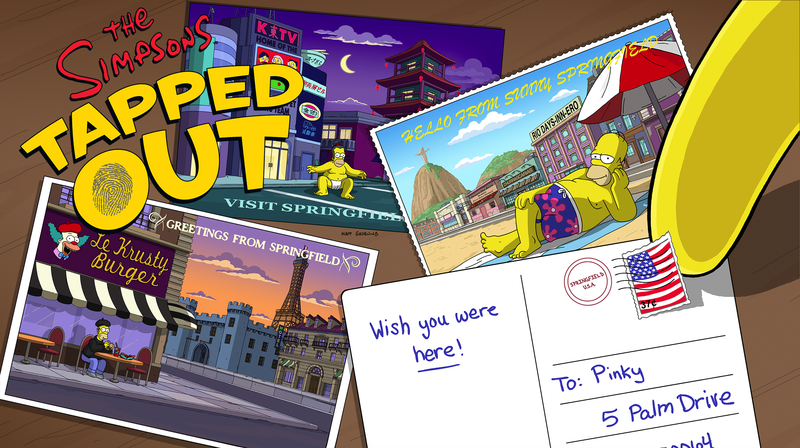 11, Springfield Confidential Pt. 7, Running with the Bullies Pt. 17, House Always Wins Pt. 6, Snyder House Rules Pt. 4, Weekend Dad Pt. 16, World’s Largest Redwood Pt. 10, Bread and Putter Pt. 5, A Perfectly Cromulent Job Pt. 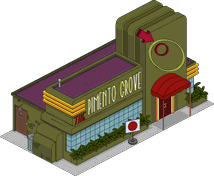 16, Springfield Heights Pt. 14, Lodge a Complaint Pt. 9, Real Estate Mogul Pt. 5, Republic of Condo Pt. 3, Above the Clouds of Springfield Pt. 5, Show Vroom Pt. 5, Getting Classy Pt. 5, Cubical Dream Pt. 5 and Egoin Crazy Pt. 5 now yields $2500 and 250 XP. Completing Bloatation Device now yields 5 Donuts and 500 XP. Completing Military Antiques Pt. 9 now yields 3 Donuts and 250 XP. The decorations limit was increased to 9500. A second patch was released, server-side, just a bit afterwards. The Tourists Bundle was removed from the store due to bugs. I still don’t have them. The event’s new trees are still not displayed properly in the inventory. Marge & Mrs Muntz are a one-off, no thing. Sailor Kumiko seems to be an unrelated task with CBG, maybe just to give us something to do. It’s kind of cool & worth doing. EA took the tourists out of the store for now as they were effed up. I updated my game, but there are no Tourists to purchase. it’s glitchy as heck unfortunatly. did you check the premium menu? Have noit gotten the takedown update yet. Finally. Got the takedown update. Did the takedown update. Tourist Bundle is not available. Ohhhhhhh. Face palms Gotcha. No, I’ll go take a look. Previous Event coming to an end!